What is the best POS app? The top POS software is Toast, given the features and functionalities that it offers. It is perfectly suited to all manners of restaurants in the U.S., helping them boost revenue by streamlining processes and improving services. It comes with stock and booking management, along with online ordering features. Powerful hardware likewise accompanies the tool, in the form of self-service kiosks that allow customers to avoid long lines and speed up ordering and service delivery process. So you’re upgrading from your trusty old cash register or old system. That’s a good move. The past 2-3 years have seen modern POS solutions go beyond recording sales, giving you control over all aspects of your sales transactions. 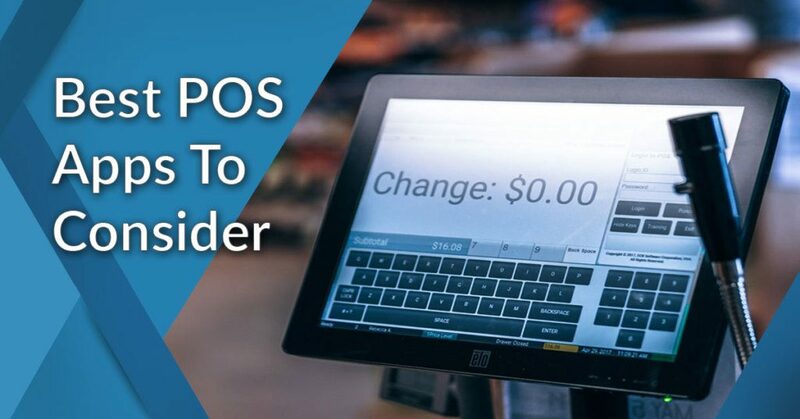 Consider the advanced POS features of today that you might have been missing out for quite a while. A good bunch of them can manage inventory, automate order-taking, accept electronic payment, split bills, generate customer behavior insights, integrate with CRM and so much more. Some come with additional equipment while others are built ready to play with your existing systems. To help you narrow down your search for a POS software, we have compiled a list of the 12 best POS software currently in the market. We’ll delve into their features, functionalities and unique selling propositions to give you a better understanding of these tools and what they can do for your business. You will likewise learn what sets them apart from each other. What are the best POS apps for 2019? For many companies, POS software has become an indispensable part of their operations. This development has left vendors no other choice but to adopt new technology to make their products even more unique. These trends in POS innovations have been changing the face of POS, among which are the use of cloud technology, analytics, mobile wallets, self-service kiosks and on-demand purchasing, to name a few. They make light work of your processes by streamlining them while automating tasks to make your life a little better. It is also well documented that POS systems positively impact customer satisfaction by improving service and product delivery. In this day and age, using cash registers is akin to carving a turkey with a chainsaw, making sales transactions a lot more complex. The good news is you do not have to be left behind as most businesses, in this case, restaurants, have been using POS software to run their operations. Proof of the efficacy of such systems is the fact that the restaurant sector has grown into an $800 billion industry in 2018, making up around 10 percent of the US workforce. Most food establishments have adopted high-tech processes such as online ordering and reservations and analytics, increasing revenue through improved service. Customers, on the other hand, have also grown fond of ordering online, with around 6 percent placing orders using apps or smartphones. For retailers, POS systems and their added functionalities have proven to be a boon. These companies have been taking advantage of features like inventory tracking, and credit card processing. POS solutions have also been allowing them to enjoy touchpoint and real-time sales transactions. They can likewise accommodate modern payment methods such as those made through tablet computers and mobile devices. Needless to say, POS platforms have given many businesses all the help they need to improve their sales processes. So without further ado, we present to you our list of 12 best POS software. Here they are. Ranking first in our list of the 12 best POS software is Toast, a powerful POS platform designed for use by United States-based restaurants. It comes with an extensive feature set that helps users in keeping their accounts updated while boosting client satisfaction. It effectively manages restaurant processes, including stocks, bookings and online ordering management. The tool also saves you time and improves your business capabilities, helping your company grow. Service quality also gets a boost, which can be cross-checked with the use of reports and order tracking. But these are but the tip of the iceberg as far as Toast’s features are concerned. It can likewise make light work of restaurants’ sales processes, allowing them to boost revenue while keeping costs at a minimum. For diners, the system provides kiosks that let them avoid long lines while being able to pay the way they want to. It also gives your kitchen take that much-needed breather, providing kitchen personnel ample time to prepare orders. Customer waiting times are further reduced with Toast’s integration with OpenTable, which lets you to streamline service by updating tables quickly and accurately. You can easily sign up for Toast free demo here and get to know the features firsthand at no cost and without commitment. A leading iPad POS solution, Vend is popular among retailers. It is able to handle tasks like inventory, sales and customer management. A highly-customizable tool, you can use the system exactly the way you want. You can customize the screen to make all needed tools within easy reach while choosing between two types of data entry methods–by touchscreen or mouse and keyboard. The platform’s integration with WooCommerce has given it more features to be able to cater to online sellers. The platform can boost both online and in-store sales for sellers who rely on inventory. Facebook and Instagram users are also accommodated, expanding your market through social media channels. If you want to investigate the features closely you can easily do so when you sign up for Vend free trial here. Another noteworthy POS solution is TouchBistro, which is popular among delis, food trucks, restaurants, bars and other food establishments. Built to help improve food service, the software is a cloud-deployed system that supports devices running on iOS. It is not your average POS platform as it was designed with the help of restaurant experts. You can use the software to manage all your processes at the same time–take orders, plan seating and change event rooms on a whim. TouchBistro just keeps on getting better and better, with the vendor constantly coming up with more functionalities for the system. For instance, its Order screen has been modified to be able to improve order management such as in the case of takeouts, bar tabs and deliveries. Searching has been also improved to help you find what you want when you want it. Orders and customer data can likewise now be viewed through a new bill preview window. The vendor offers a comprehensive free trial to get you up to speed with the features. You can sign up for TouchBistro free trial here. Cybersys POS is a feature-rich POS software designed specifically for small businesses, regardless of type. It is highly suitable for use by establishments such as coffee shops, restaurants, jewelry stores and sporting goods shops. It is highly flexible, with users able to customize the system to their liking. The product comes with hardware that includes barcode scanners, credit card readers, cash drawers, and receipt and label printers. Many small businesses have come to embrace the platform, especially those who need a fully-featured system at affordable prices. Aside from those mentioned, Cybersys POS also improves both internal and external communications, resulting in accelerated product and services delivery. It automatically generates reports, which can be used in the analysis of organizational goals and targets. You can use the system to work on loyalty programs which are bound to result in repeat business. It also has an inventory management feature, making sure that you have ample stocks at any given time. All known currencies are supported while a shipment tracking capability allows you to monitor and record individual transactions. More Cybersys POS pros and cons can be found in our review of the solution. You can try all its premium features at no cost when you sign up for Cybersys POS free demo here. Designed for modern businesses, Miva Merchant is an eCommerce software that offers features that are meant to give you everything you need in such a product. Many corporate giants in the US have been using the system in their online selling operations. But even small businesses can also benefit from using the program, which offers all users not only useful features but great support and maintenance service as well. This customizable software will suit any seller’s requirements and more. With the platform, you do not have through the hassles of setting up your online store as it does everything for you. POS software Square is another system worth looking into. Powerful as this software is, it is easy-to-use and comes absolutely for free. It brings to the table a myriad of features that are bound to make your operations more efficient and worry-free. You can use the system to process payments right from your store or while in the field as it supports devices running on Android and iOS. It offers real-time sales and inventory tracking, along with item management not to mention credit card payment processing. Having problems splitting bills? Well not anymore as the solution does it for you. Errors from manual processes are also reduced while item checkout becomes faster. This is because the system shows staff only the tips and tickets that are assigned to them. Accurate sales and tip reporting is also accomplished as ticket ownership is made transferrable. Customers are also able to sign and add tips sans the need to reprint authorization slips, promoting paperless operations. 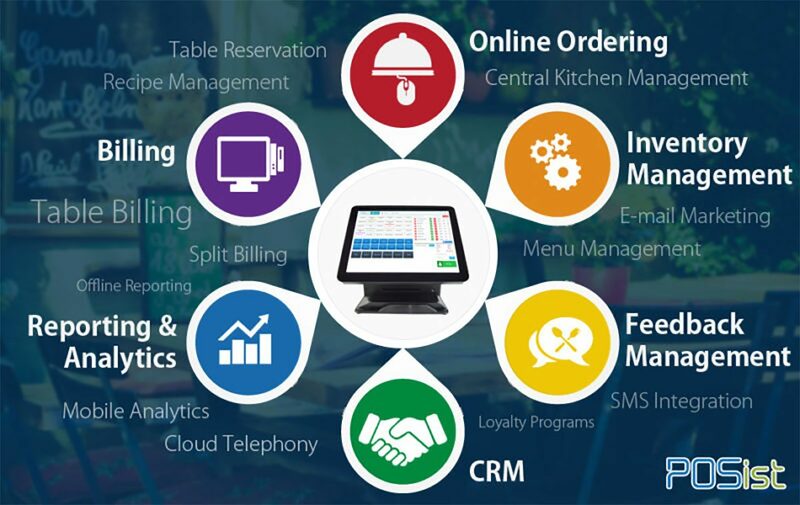 Designed to cater to all size and manner of hotels, restaurants and sports and entertainment shops, Oracle Food and Beverage offers functionalities that are guaranteed to improve your service, productivity and efficiency. Both users and customers get to enjoy richer experiences with the technologies that make up this robust system, which include analytics and mobile integration. This easy-to-use platform can be employed without the need for much training. Use it to speed up your transactions while making sure that everything is done accurately. Other key features include cost control, omnichannel delivery and kitchen management. Sapaad is a robust POS system that has grown in popularity among many restaurateurs in Dubai, owing to its powerful functionalities and the constant updates that the vendor offers. It is deployed via cloud, making it ideal for both high-end small food establishments. You can get your kitchens better organized using the tool, which in turn positively impacts customer satisfaction and loyalty. It’s highly-suitable for restaurants that accommodate dine in, take-away, online, and walk-in orders, automating just about every restaurant process there is. Setup is easy, with maintenance also requiring minimal effort, steering your business on the path to growth. It is being offered in flexible pricing options, which also do not involve hidden costs and pricey licensing deals. Clover is a fully-integrated POS software that offers small- to medium-sized food establishments features that allow them to handle tasks such as staff and inventory management and menu editing. The solution can be accessed via browser or installed on-premise. It comes with a well-designed interface that is easy to use and can be accessed from any device. Reports generated by the system offer insights that you can use to arrive at data-driven decisions. Both payments made through debit and credit cards and Apple Pay are accepted by the solution. You can edit product information when needed, allowing you to track which products sell and which do not, thanks to the product’s ability to keep tabs on payment, credit and promotion information. An inventory management feature also comes with the solution, helping you keep track of your stocks. The vendor employs technologies that allow for menu editing, order printing, and loyalty program and promotion creation. Widely-used POS platform Lavu was developed to serve restaurants and bars, resolving problems associated with confusing sales information, poor service and unclear orders. With the software, you can take absolute control over your restaurant’s operation and have your staff comply with the highest industry standards. This is accomplished with the tool’s robust interface, process streamlining capability and central data hub. Its numerous features do not only boost sales but also improves your processes, including staff training, layout customization and order taking. HR management is also addressed as the system can help you handle processes like employee onboarding. The vendor thought it wise to use the latest hardware in developing the app, which includes digital menu boards and self-service kiosks. If you want to learn about Lavu pros and cons, check out our review of the solution. Popular POS solution Salesforce Commerce Cloud is known for offering features that handle processes like mobile-first POS, digital commerce, predictive analytics, store operations and order taking. It has the ability to improve business efficiencies by rationalizing organizations. Customer product search times are reduced using the system, which also speeds up product delivery. The software likewise serves as an information repository, simplifying the way your agents manage product returns and exchanges and updates. Customer experience is likewise improved with the system as it comes with mobile APIs. Last but not least on our list of the 12 best POS software is DeVinePOS, a solution developed to serve bars, retailers, and other food establishments. It delivers an impressive feature set that provides businesses with all their POS requirements. It is highly scalable and can adapt to any business situation as they arise with users being able to customize the platform to suit their needs. Sporting PCI- and EMV-compliant technologies and equipment, the platform makes sure that your data are safe and sound but readily accessible. The software’s benefits lie in its ability to streamline all your processes, regardless of what type and size of business you are in. It doesn’t matter what process need improving, it can boost payment processing, order-taking and even tipping. What’s even better is that it can work with any equipment and system, making it possible to immediately enjoy the system’s benefits. The app also has inventory management features, ensuring that you keep track of your stocks and that all menu items are available. Aside from its core POS system, DevinePOS also supports EMV chip card and tablet ordering, making it easier for your customers to place orders. With more than enough POS platforms to go around, shopping for one can be difficult. There are a few things you have to remember before you sign up to a platform, the most prominent of which is pricing.  In this regard, you should go for POS software that offer the most value for your money. It doesn’t matter if you choose an on-premise or cloud-based POS solution as there are systems that give you all the functionalities that you need without spending a fortune. Most on-premise POS solutions cost a bit more but you can be sure to have not only a complete system but additional hardware and equipment as well. They also offer enterprise features that you cannot find in other low-priced deployment models. Software-as-a-Service platforms, on the other hand, are highly-scalable, allowing you to pick only the features you want. This way, you only pay for what you need and not a penny more. You also get the payment flexibility that you need as most vendors offer different pricing plans, with annual packages providing huge savings. These make cloud-deployed POS applications ideal for small businesses who lack the required cash flow to invest in expensive programs. There are other factors to consider when buying POS tools, you can find out more about them in our comprehensive POS software guide. So there you have it our top 12 POS apps as determined by our experts. By now you should be ready to choose the software that’s right for you. If your requirement for such a product warrants you to immediately purchase one, you can try Toast. You can easily sign up for free Toast demo here.